Lesser Lesser Landy & Smith is pleased to announce that two of the firm’s attorneys have again been named to Florida Trend’s Florida Legal Elite™ 2018. The 1,012 honorees represent just over 1% of 100,000 active Florida Bar members practicing law in Florida. Additionally, the Firm’s Managing Partner, Gary S. Lesser, has been recognized as a Hall of Fame honoree. This is a distinguished group of attorneys who have consistently earned high rankings from their peers in the annual Legal Elite voting. Florida Trend’s Legal Elite annually announces attorneys recognized by their peers for exemplifying excellence. 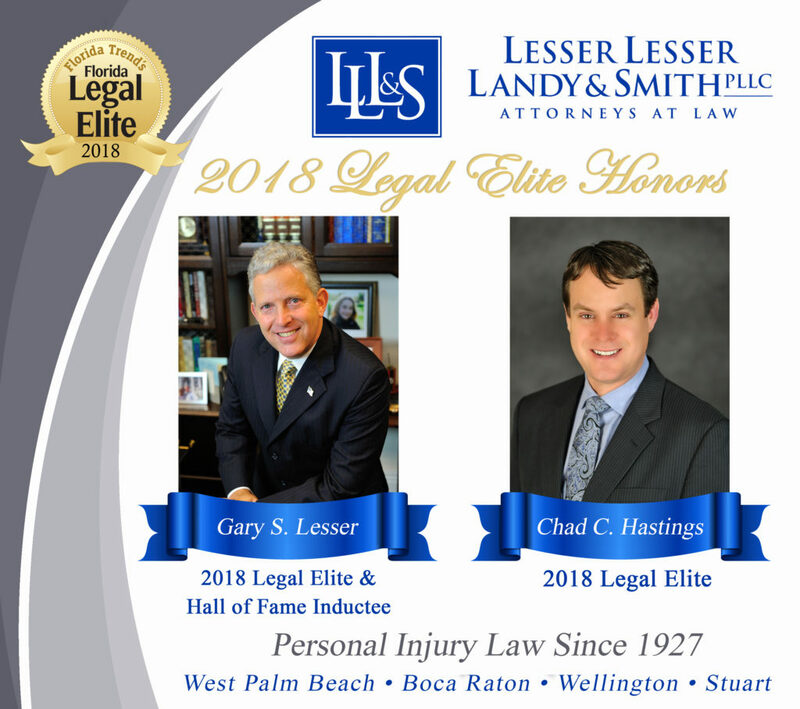 The Legal Elite list is created by asking actively practicing Florida attorneys to name the attorneys they hold in highest regard – lawyers with whom they have personally worked and would recommend to others. Congratulations Gary & Chad on being awarded this prestigious honor.